Update: Is Jackson’s dark complexion just an accident or is this an attempt to blur the racial line? Within this context, Jackson’s school makes perfect sense, though it should be pointed out that a school had been established in Lexington as early as 1843. While our popular perceptions paint Jackson as some kind of liberator who was ahead of the curve, Irons’s analysis provides us with a clearer understanding of how the school reinforced slavery and white supremacy in Lexington and the Shenandoah Valley. Jackson admitted as much himself when he noted that God had placed the black race in a subordinate position. Constant oversight allowed Jackson and the rest of the white population to continue to proselytize and at the same time monitor his black students’ understanding of themselves in relationship to God and the white community. One can only wonder what Jackson would have said to a student who put forward the notion that slavery stood in contradiction to God’s law. Let me point out that the goal here is not to demonize Jackson. I have no problem with people who choose to celebrate Jackson’s work within the black community. As historians, however, our job is to understand how churches functioned in a slaveholding society and how those institutions evolved in response to various challenges. As much as we need to be sensitive to Jackson’s personal motivation we must never forget that he did not operate in a vacuum. Kevin, I enjoy this post and it reminds me to take a moment to read a series of published sermons by a Southern minister deemend appropriate by him for Southern blacks. Jones' publication is even more interesting when you read alongside Franklin, John Hope and Loren Schweninger. Runaway Slaves: Rebels on the Plantation (New York: Oxford University Press, 1999). Jones's catering to the religious needs of the enslaved community did not stop Jane from wanting to get out of slavery. 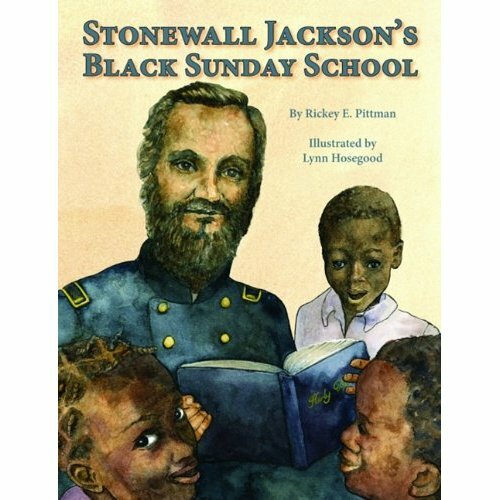 Of course the most interesting of Central Virginia's Black churches was the First African Baptist headed by Robert Ryland, ran to a large degree by the free black deacons and attended by enslaved and free blacks and which is documented in several works on antebellum Black religiosity, antebellum Richmond, etc. Nice to hear from you and thanks for passing along the links. I've read sections of Colcock's book, which is quite interesting and helpful in better understanding how Christianity was used to maintain the slave system. That publication date of 1842 places in direct response to Turner's insurrection. Kevin-Religion was an extremely touchy point in the slavery debate. The 18th Century abolitionists, many of whom came at the subject from an Enlightenment/natural rights perspective could not get under the white Southern plantation caste's skin the way that the 19th Century abolitionist movement, with its evangelical Protestant foundation could. I couldn't remember the title of this earlier (but I alluded to it) so let me share just another primary resource of sermons for slaves as deemed appropriate by slave holding whites. Those who want to use Prof. Robertson's book to try to prove Jackson was “the black man's friend” misuse it. Prof. Robertson very clearly says Jackson thought it was his duty as a Christian to save souls, even the souls of slaves. He also tells us that Jackson gave monthly reports to the owners on each slave's attendance and progress. While I think Robertson gives the best explanation for Jackson's participation in the school, I also think the owners saw the benefit you mentioned, Kevin, in having their slaves participate. Right, but as I said in the post, even Robertson fails to provide a satisfactory analysis with which to understand Jackson's black Sunday School. Jackson's school fits neatly within the slave system of Virginia as a means to maintain white supremacy in a post-Nat Turner world. He may have been “saving souls” but their bodies would remain under the complete control of their owners and free blacks would remain under the watchful eye of the white community. You may be on to something here. Recently, I re-watched the infamous scene in Gods & Generals where Jackson and Jim Lewis talk about the slavery and the General discusses emancipation and the enlistment of Black soldiers. I noticed Jackson talks down to Lewis: “One way O’ T’OTHER, your people will be free.” He doesn’t speak to anyone else like this anywhere else in the film. “In the film.” Let that remind you it was the producer’s view of it. To begin to understand the situation Jackson found himself in,we must look through the eyes of the society as a whole during that period of our country’s history. George Washington wished to free the slaves but knew the people were not ready for it at that time( either group).It has been stated by some that Jackson’s times were like when Thomas Paine’s book “Common Sense”was published.Paine’s ideas were dangerous to the powers at be.Still, they survived and eventually thrived.It is another interesting thought that Jackson was taught by a slave lady named Fannie to read and who was very kind to him.We must put things into proper context and perspective. Jackson read St. Paul’s words that “slaves should obey you masters” Jackson heeded to a Higher Master & taught the truth as given by “St. Paul’s Master. Judge the work & the results.God will be the final Judge. Hi first I live in Roanoke Va and have seen the stained glass window in the black Church . So you assume Jackson was only there to monitor the slaves education, to assure there would be no uprisings and to instill white supremacy. The idea that he may have been doing it out of Christian compassion escapes you. And here I thought “Christian compassion” precludes holding other people as property. Silly me. Previous post: Who Was “Ten Cent Bill” Yopp?